Looking for something fun and scary to do this Halloween? Live in the Spring Grove, Harrisburg, York, Lancaster or Carlisle are in Pennsylvania? If so...you want to head on over to the Haunted Mill Scream Park located in Spring Grove. The Haunted Mill Scream Park is a seasonal Halloween attraction that is open from September 22nd through October 30th, 2011. Hours of operation are Thursday and Sunday nights from 6pm to 10pm and Friday nights and Saturday nights from 6pm to 11pm. You can find their entire hours of operation/schedule on their web site. They do not accept credit cards but there is an ATM machine on the premises...so either bring cash or use your debit card. There are 5 haunted scary attractions and each one has an admission price or you can purchase a combo ticket. Parking is free! 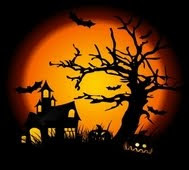 These scary attractions are not for little kids so please make sure if you are bring kids that they are old enough to handle all of the scary, gruesome fun!